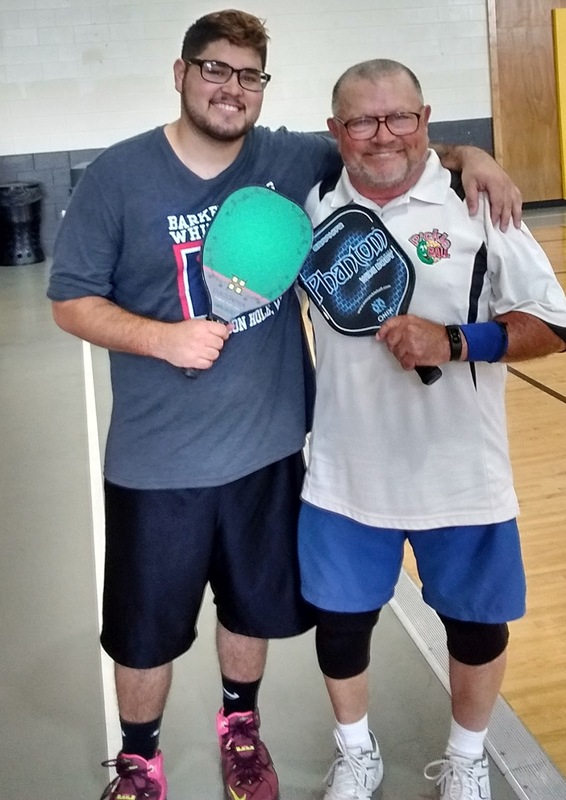 It's been about a year since I started playing pickleball. So much has happened since then. All Good. Just about a year to the day from when I started playing, we were in APPLE Athletic Club yesterday when one of the regular basketballers said he'd like to play pickleball. His name is Carlos. I said, "Hey, Carlos, "I'll teach you to play." And he replied, "I don't know a thing about pickleball." To which I said, "Well, you play basketball don't you?" He nodded. And then I began to make the connection between his basketball skills and what's needed to play pickleball. I really gave it to him straight. Well, he got it. I told him I could teach him to play pickleball in five minutes. It actually took about three minutes. And then I turned him loose as he and I played two of APPLE's best female players. We smoked them 11-4 and they were stunned and dazed. It was ALL because of Carlos and his natural moves and acrobatic skills. He went on to win every single game he played in yesterday, a mark unheard of for new players, especially against the tough pickleballers that call APPLE Home. I asked him yesterday if he was coming back and he laughed his 20-something, easy-going laugh and said, "Yeah, I'll be here." Sure enough, he showed up right on time and proceeded to play nose-to-nose with the Big Dawgs, winning way more than he lost today. He's so impressive to watch. I asked him if I could have my picture taken with him and he smiled and grabbed me by the shoulder. It's been a great first year of pickleball and this was a very fitting anniversary marker.